Welcome to the PACFA Conference website. Venue: Aerial UTS Function Centre, 235 Jones Street, Ultimo, Sydney, NSW. Working with Trauma will be explored at the conference in relation to the three streams below. • The following checks may be carried out by the PACFA office to ensure that presentations align with PACFA’s Mission & Values, including but not limited to; online presence, provided references and audience testimonials. • Abstracts will be reviewed by the Conference Committee or their nominated representatives. The Committee’s decisions are final. •Applicants will be notified of the outcome by September 2018 once the Conference Committee has made its decision. When submitting your online abstract, you will be asked to acknowledge that you have read and accept these Conditions of Acceptance. Offers to present at the conference will be made subject to the following conditions: Selected presenters, whether presenting papers or workshops, do not receive free conference registration and are required to pay the applicable registration fee to attend the conference. • Selected presenters are responsible for their own travel and accommodation costs. • The presenter’s Abstract and professional biography will be reproduced for the Conference program. Both may be edited if necessary due to space restrictions. • Presenters of papers will have the option of having their presentation filmed. This will enable post-conference dissemination of the conference proceedings. Filming will only take place where the presenter’s consent has been obtained. • Presenters of papers and workshops wishing to use a PowerPoint presentation will be required to provide their presentation to the Conference Administrator by Friday 25 January 2019. • Where material relating to a client(s) is included in the presentation, the material is to be de-identified so as to prevent identification. This might be in the form of composite or fictional presentations. If the client is not de-identified, a letter of consent, signed by the client, is to be provided to the Conference Administrator at least two weeks prior to the event. • Merchandise related to presentation may be sold via the Conference Book Stall and will not hold PACFA responsible of any liability related to the care and sale of merchandise. • All potential presenters will be vetted through PACFA's Presenter Policy prior to acceptance and PACFA reserves the right to withdraw the invitation to present if any information becomes available prior to the conference that indicates the presention does not align with PACFA's Mission and Values. 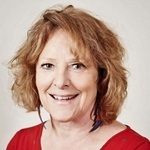 Miriam Taylor is a UKCP registered Gestalt psychotherapist and has been in practice since 1995. She has worked for an independent trauma service for over six years and was previously a clinical lead of young people's service. Miriam's particular interest is in the relational integration of trauma and the role of the body. 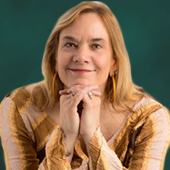 She teaches in the UK and internationally, is an Academic Consultant and examiner for Metanoia Institute, London as well as at Istituto di Gestalt CC Italy. Graham completed his combined Masters/PhD in Psychology (Clinical) in 2016. 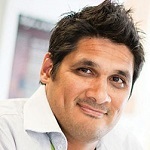 He has been a registered psychologist for the past 10 years at the Victorian Aboriginal Health Service. His main area of research is in complex trauma, resilience and trauma recovery. 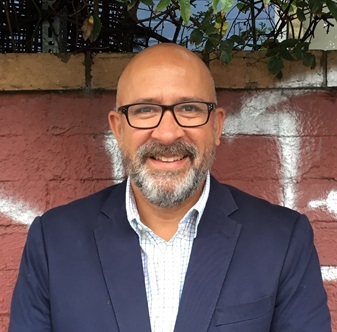 Graham has previously been a committee member of the Australian Indigenous Psychologists Association and is a founding board member of the National Aboriginal and Torres Strait Islander Healing Foundation. What happens when we enter or get pulled into the world of a client’s chaos, rigidity, fragility or dissociation in such a way that we lose our footing? What do we experience when the client’s material collides with our own? This workshop looks at the issue of regulating trauma from the perspective of the therapist, and the implications for the therapy. The workshop will consider how we influence and resonate with one another, and the feelings we are left with. We will apply some of the underlying neuroscience to a series of experiential exercises to strengthen the range of resources available. Because trauma is fundamentally experienced in the body, of particular importance for both therapist and client are body-based resources related to safety, grounding and resilience, and attention will be given to how we can develop some of these. In this experiential workshop participants will be taught some practical somatic interventions to address trauma and explore ways to incorporate these into traditional therapeutic approaches. Focus will be given to identifying indices of dissociation, developing skills in assessing nonverbal signals, identifying and modifying breathing patterns that inhibit emotional regulation, using the physical body to re-establish appropriate boundary setting and to help free the fight/flight/freeze response that is common in trauma. 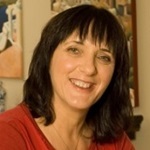 Narelle will be drawing on the Radix Somatic Psychotherapy approach which encompasses the ideology that trauma work does not occur in isolation but within the healing and development of the psychotherapeutic process. Attendance at canapé and networking function Saturday Evening. Cancellations or amendments to registration for the Conference or the Conference Dinner cannot be accepted over the telephone. Cancellations and amendments must be sent in writing by mail, fax or email to the Conference Administrator. Accommodation cancellations will be charged by the hotel according to the Hotel's cancellation policy. Please contact the Conference venue for details. Cancellations received up to and including Friday 21 December 2018 will receive a full refund, less an administration fee AU$50.00 (Incl. GST) payable upon cancellation. Cancellations received between Friday 21 December 2018 and Friday 15 February 2019 will receive a 50% refund, provided that the amount of the refund is greater than the administration fee of AU$50 (Incl. GST). No refunds will be given for cancellations received after Saturday 16 February 2019. Non-attendance will be taken as a cancellation on the day of the event and will incur a 100% cancellation fee. As an alternative to a cancellation, your registration may be transferred to another person on or before Saturday 9 February 2019 without incurring any extra cost. Transfers made after this date will incur a AU$33.00 (Incl. GST) transfer fee. Non-payment or non-attendance will be taken as a cancellation on the day of the event and will incur a 100% cancellation fee. PACFA Conference 2019 reserves the right to deny entry and/or terminate the registration of any person who demonstrates behaviour that PACFA Conference 2019 deems to be inappropriate and/or a risk to others. Registrations received will not be considered as confirmed unless payment has been received and processed. The speakers, topics and times are correct at the time of printing. In the event of unforeseen circumstances, the Organising Committee reserves the right to delete or alter items in the Conference Program. In the event of industrial disruptions or natural disasters, PACFA Conference 2019 cannot accept responsibility for any financial or other losses incurred by delegates; nor can PACFA Conference 2019 take responsibility for injury or damage to persons or property occurring during the conference or associated activities. Insurance is the responsibility of the individual delegate. Access to every session and workshop of this years conference. Access to every session and workshop on a single day at this years conference. The Psychotherapy and Counselling Federation of Australia invites you to become a sponsor or an exhibitor at the upcoming Biennial PACFA Conference in Sydney February 2019. The Conference theme will be: “Working with Trauma”. Sponsoring the Conference will give sponsors the opportunity to showcase products or services to hundreds of attendees, before, during and after the event. 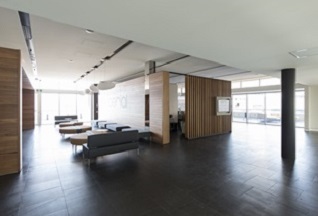 The conference expects to attract up to 300 delegates from the counselling and psychotherapy profession and other mental-health related fields. .
Centrally located in Ultimo, NSW, the Aerial UTS Function Centre will host the 2019 PACFA Conference. 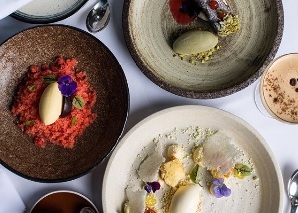 Walking distance from luxurious accommodation, 5-star restaurants and many of 's main attractions we trust that your experience at the Aerial UTS Function Centre will be great. 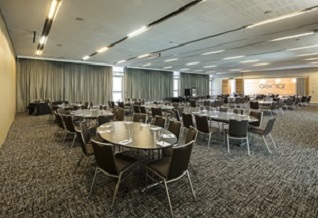 For delegate’s conferencing at the UTS Aerial Function Centre, there are several hotels nearby. Accor Hotels have several hotels to choose from, with Mercure Sydney and Novotel Sydney Central just across the road and Ibis Sydney World Square just a short walk away you are sure to find something that suits your budget when meeting at the UTS Aerial Function Centre. You can view the hotels and more here. 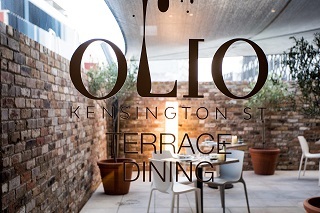 Olio Kensington St was created by award-winning chef, Lino Sauro, who comes from a long line of self-sufficient Sicilian farmers. He grew up with meals that were created with quality produce from his family’s farm in Sicily. 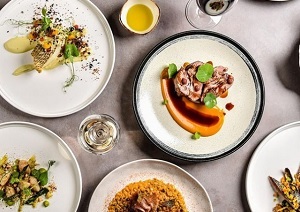 This translates into a contemporary menu with dishes that reflect a strong connection to his Sicilian roots. Olio is just a 5-minute walk from the conference venue and boasts an intimate and lush alfresco terrace with views of Chippendale for dining. Don’t miss out on your place at the conference dinner as it will be an exclusive sitting of only 40 Delegates. Sydney's main international airport is located in the suburb of Mascot, only 8 kilometres from the city centre (and UTS) and less than 10 kilometres from major tourist attractions. For more information on Sydney Airport, please click here. To catch a train or bus, you will need an Opal card or Opal single ticket. Using an Opal card is the easiest and most affordable way to travel in Sydney. You can get Opal cards and single trip tickets at airport train stations and top up the balance of an existing Opal card. You can also purchase Opal single tickets from bus driver. Aerial UTS Function Centre is a short walking distance from Central Station and close to the various public transport links in Railway Square. Railway Square is a plaza at the intersection of Broadway and Lee, Pitt and George Streets, Sydney. The square itself is a very busy intersection and is the site of a large bus terminus. For Aerial UTS Function Centre, ask the driver to drop you off at UTS at 235 Jones Street Ultimo. Click here to estimate a taxi fare. Parking is available from 6:30am to 10:00pm Monday to Friday. All other times additional parking charges may apply. Parking is managed via InterPark. The conference runs for two (2) days, and is held on Saturday 23rd and Sunday 24th February 2019. There will be two (2) concurrent Pre-Conference Workshops held on Friday 22nd February 2019 available for registration, at an additional cost to the Conference price. Can I choose to just attend one (1) day of the Conference? Yes. You can find a range of registration options available on our website. Can I choose to just attend a Pre-Conference Workshop? Yes. Please head to our website to find the right registration option to suit your schedule. How can I attend the Conference? Please visit our registration page to find out how to register for the event. Please note you will need an email address to be eligible to register. Is there an Early Bird or Student Discount rate for registrations? Early Bird rates are available until Friday 30th November 2018. For more information regarding registration types, including Student Discounted rates, please see our registration page. When will Conference registrations close? Early Bird registrations close on Friday 30th November 2018. Conference registrations close at Friday 15th February 2019. How many CPD hours will I obtain by attending the conference? Abstract submissions for presentations and workshops will remain open for submission until 5:00pm (AEST) Tuesday 31 July 2018. How will I know if my Abstract been selected? Following the decision of the Conference Committee, authors will be notified of their outcomes via email by Monday 3rd September 2018. I have submitted an Abstract, but I did not receive a notification email regarding my selection. If you have multiple email accounts: All correspondence will be sent to your login email you nominated to use for your registration profile. If you have since changed your email address, please notify us via email. Check your spam folders, or any filtered email categories. If you are experiencing further issues, please contact us. I am travelling to attend the Conference. Where and how can I book accommodation? The Conference venue, Aerial UTS Function Centre is in Ultimo, NSW. Nearby accommodation includes Mecure Sydney, Novotel Sydney Central and the Vulcan Hotel. 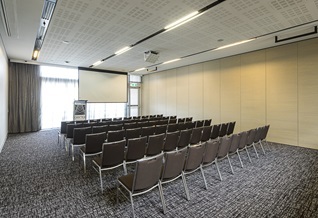 Is there a discounted rate for accommodation at Aerial UTS Function Centre for Conference delegates? We are proud to offer a discounted accommodation rate for Conference delegates. I am driving to the conference; how can I arrange parking? Friday car parking is $27.00 per car per day for Workshop Delegates. Please note that all car parking is based on availability. Weekend car parking is $16.00 per car per day for Conference delegates and in house guests. Please note that all car parking is based on availability. I am coming from Overseas to the conference, are there any documents I need before I apply for a Visa? I am coming from Interstate, what transport options are there? Please refer to our Cancellations, Amendments and Refund Policy. How can my organisation sponsor the 2019 Conference? To apply to sponsor the conference, please download the 2019 Sponsorship Prospectus (.PDF) which outlines Sponsorship Package options and benefits. Alternatively, please see our Sponsorship page for further information. Why isn’t the 2019 Conference website appearing correctly on my screen? We recommend using Google Chrome, Safari or Firefox browsers in full screen mode. Please ensure your internet browser is up to date. If you are still experiencing issues, please email us. I have a question that hasn’t been answered, what can I do? Please email us your enquiry, or contact our office directly during business hours on +61 3 9486 3077. Information published in the Frequently Asked Questions (FAQ) is accurate as of 28th February 2018. Information provided on the FAQ page is intended as a guide. The PACFA Conference 2019, its staff, sponsors or representatives are not responsible for any actions taken by, or losses suffered by, any person on the basis of, or in reliance upon, any information in the FAQ, nor for any omission or error in this information service. 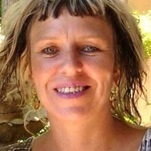 Jenny Coburn began her career as a counsellor in 1992. Over the past 25 years, she has worked in private practice, non-government organisations, therapeutic communities, residential rehabilitation centres and corporate environments, specialising in alcohol and other drug counselling and mental health. Jenny has taught in higher education since 2002 and is a Senior Lecturer in Counselling at the Cairnmillar Institute in Victoria. 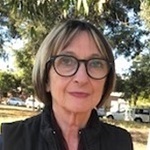 Jenny is a Past President of SCAPE (Society of Counselling and Psychotherapy Educators) and past Founding Convenor of the PACFA College ACCAPE (Australian College of Counselling and Psychotherapy Educators). 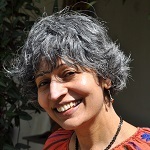 She is a current Co-Convenor of the 2019 PACFA Conference. 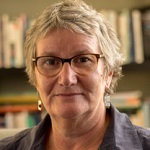 Dr Kate Briggs is a Lacanian psychoanalyst who has worked as a clinical specialist in publicly funded counselling services and consulted widely in the field of social welfare. Kate has lectured in psychology, womens’ studies, and counselling & psychotherapy since 2003 and was awarded a Teaching Excellence Award by ACAP in 2010. Her research interests include complex care teams, contemporary critical practice, psychoanalytic feminism and how the work of invention informs clinical work. She has published on sublimation and symptom formation and contributed to Notes on the Child, A collection of essays on contemporary Lacanian child and adolescent clinical practice. 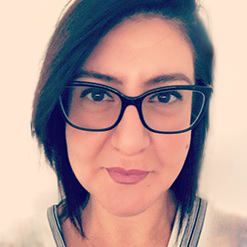 Kate is a PACFA Accredited Supervisor, Mental Health Practitioner and Clinical Registrant, a lecturer at ACAP, Convenor of the Australian College of Counselling and Psychotherapy Educators and Vice-President of the Lacan Circle of Australia.